This hanging solar shed light is an ideal option for providing light to sheds, garages, gazebos, barns, porches or any area that needs light. 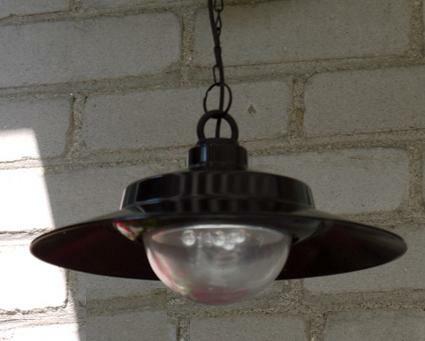 This solar light produces power from the sun using a 1.2-watt monocrystalline solar panel that is installed outside in direct sunlight can be installed up to 15 feet from the light. Easy on and off with the handy key ring remote control, no more fumbling in the dark whenever you need to access your shed or outbuilding. On a full charge the solar light will illuminate for up to 8 hours at night and is equipped with an adjustable brightness setting (high or low). The hanging solar shed light uses 4 white LED and the lamp itself is adjustable in length for 7-32 inches to meet your desired lighting needs. 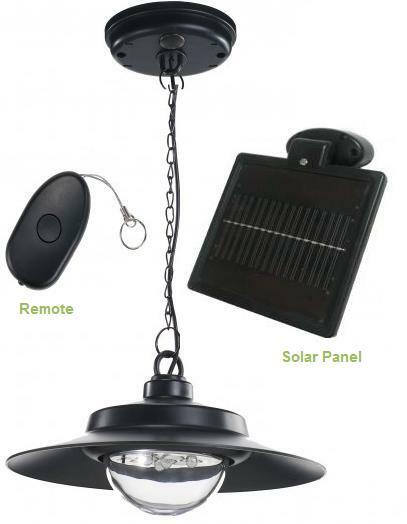 This hanging solar shed light is easy to install and requires no electrical access.